Well, it’s supposed to be. But the almost record-breaking, near-90 degree weekend doesn’t exactly suggest fall. For most of the month, we’ve experienced temps that are five to 10 degrees above normal. On Oct. 9, we broke a record high of 94 degrees. That means your AC may not be getting much of a break. While we can’t control the weather, we can help you become more energy efficient so you can buy less energy. Remember that cooling costs make up about 60% of your bill, and when it finally does get cold, the same portion of your bill will be for heating. Free programs like Casa Verde are also getting praise. Customers who have received thousands of dollars of energy efficiency improvements, like wall and attic insulation, solar window screens and weather stripping, have seen dramatic bill reductions. 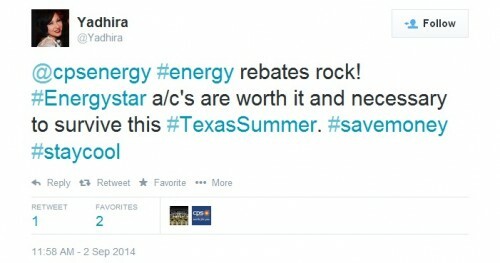 Home energy management programs are also a hit. They allow customers to use computers and smart phones to lower the amount of energy they buy and save money. Maybe you’ve seen the commercials for Home Manager. We truly do offer something for everybody. And, believe it or not, there’s a vision and mission for helping you buy less energy. Even our U.S. Military is in on the action, as Joint Base San Antonio works to reduce its energy use. 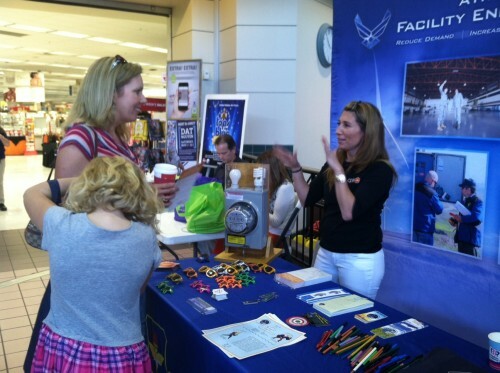 During October, the installation is observing Energy Awareness Month and we’re out educating military families about how to reduce demand. So, the challenge is on! What will YOU do to lower YOUR bill?